Welcome to the first real fishing Lodge of Denmark! Only 200mt from the best sea trout spots of Denmark! Private pike waters! An exclusive for our Lodge guests! 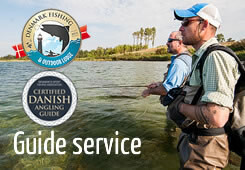 Top fishing facilities, guiding service, free advices from our staff! 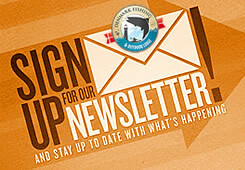 Seminars and events! Meet the experts and find new friends! Danish and Italian homemade cuisine...unique adds to your stay! The most beautiful danish landscapes around our Lodge! 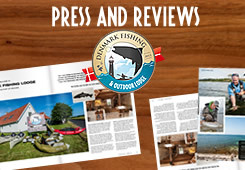 Denmark fishing outdoor lodge, the greatest sea trout fishing accommodation…and more. Since 2013. Our new lodge is located directly on one of the most beautiful Danish seascape surroundings, on Helnaes, which is a picturesque farming, fishing & country community in the south part of Fyn, Denmark. The waters near our lodge offer some of the best sea trout fishing of all Denmark. We are just 40 minutes from the fairytales city Odense, and 2 hours from Copenhagen airport and Billund airport. We invite you to join us and enjoy our hospitality! The best coastal sea trout fishing of Europe is at our Lodge! We are specialized in coastal Sea trout fishing. We are surrounded by some of the best Sea trout fishing spots of Fyn, Denmark. We practice Sea trout fishing full time, every day, and our staff and guides are without any doubt the most qualified to support you during your fishing holiday. Only by staying at our Lodge, you will get the best fly fishing and spin fishing tips and informations to find and catch the silver of our coastline: our Sea trouts! Read more about Sea trout fishing here! 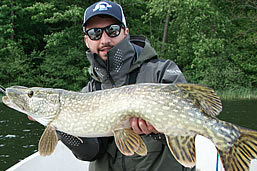 At our Lodge we know well that many of you are pike angler fanatics. So for over 8 years, we worked in order to create a unique and exclusive pike proposal for our guest. Very limited periods available! Read more about our pike program! 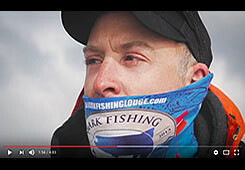 Denmark Fishing Outdoor Lodge – Follow us on Instagram!